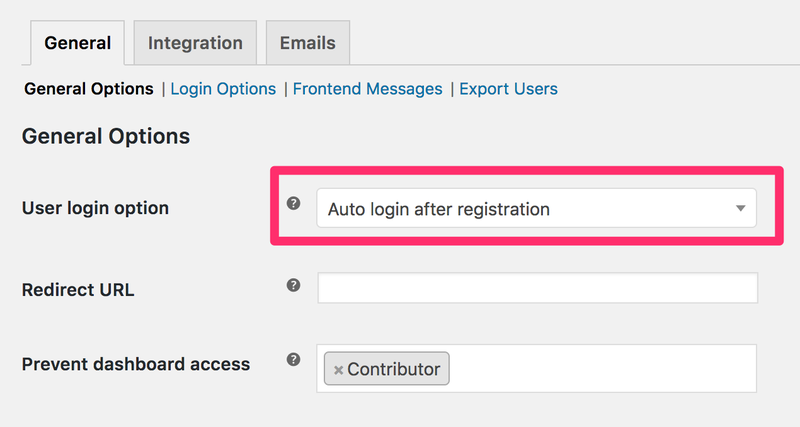 Auto login is a very handy feature if you don’t want your users to manually login after registration. If you have set up your login option to Auto Login then whenever a user register on your site and clicks submit, they will be automatically logged in to your site. This will reduce the hassle to enter the username and password just after registration.